Isn’t it surprising how a bit of sunshine, a theatre trip and a catch up with a friend over dinner can reset the lethargy button? 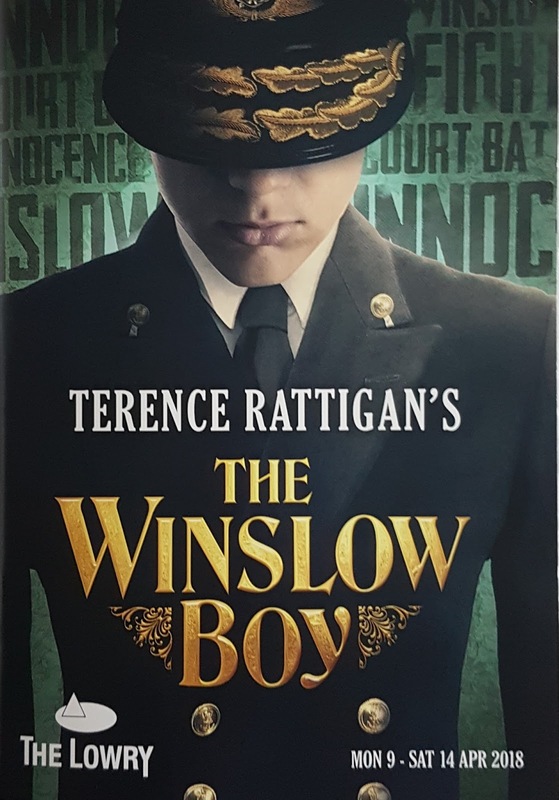 The Winslow Boy is one of my favourite Rattigan plays. It is based around a true story of a father’s fight for justice against the Admiralty when his young son is accused of stealing a postal order. We had originally intended to see he play in March at Birmingham Rep, however, the theatre cancelled the performance last minute due to heavy snow. This was a double whammy for me (well triple actually.) 1. I was missing a play I had long looked forward to seeing. 2. I was missing out on a weekend catch up with a friend I’d not seen since before Christmas. 3. Tom Burke was reading poetry in London which I hadn’t got a ticket for because of my prior engagement. But there was light on the horizon…The Winslow Boy was heading to Salford and my friend and I were able to rearrange, so whilst there may have been a delay, at least points 1 & 2 could be rectified. Whilst Rattigan fell out of favour with the critics for being old-fashioned, in the late 70’s after his death his work started to become popular. Modern audiences engage with his realistic characters whose everyday problems are deeply moving. Society likes to believe it has moved on, but many issues of the 40s, 50s, 60’s and 70s when Rattigan was writing are still just as prevalent today. In the case of the Winslow Boy, Rattigan shows that standing up for oneself, that fighting for justice and what is right is important. Principles and morality are an important part of the human condition, and what are we without them? What if we let the establishment run over the little man? The play is based on the case of Archer-Shee v the King. 13 year old naval cadet George Archer-Shee was accused of stealing a five shilling postal order from the locker of another cadet Terence Black. An internal enquiry at The Admiralty decided that George had gone to the post office to buy a postal order for 15 shillings and sixpence, and whilst there is also cashed Terence’s postal order. A graphologist, Thomas Gurrin, confirmed that the handwriting on the postal order was that of George, and on this evidence The Admiralty wrote to George’s father requesting that he remove his son from college on the grounds he was a thief. George’s father engaged Sir Edward Carson as his barrister, a man of reputation who did not fear taking on the Crown. He subjected George to a three hour cross-examination, after which he was convinced of George’s innocence and agreed to take on the case. It was a case which would drag on for nearly three years and even hold up an important debate in the House of Commons for three hours. The trial eventually began Tuesday 26th July and on the fourth day the trial ended dramatically when the solicitor general delivered a statement accepting the evidence that George Archer-Shee was not guilty and he should be exonerated of any wrongdoing. The play takes place in one room of the Winslow’s home and by doing this, Director Rachel Kavanaugh invites us into the family home to hear first-hand the trials and tribulations of a family sticking together to ensure that young Ronnie Winslow has his name cleared from the injustice the “untouchable” Admiralty has thrown at him. 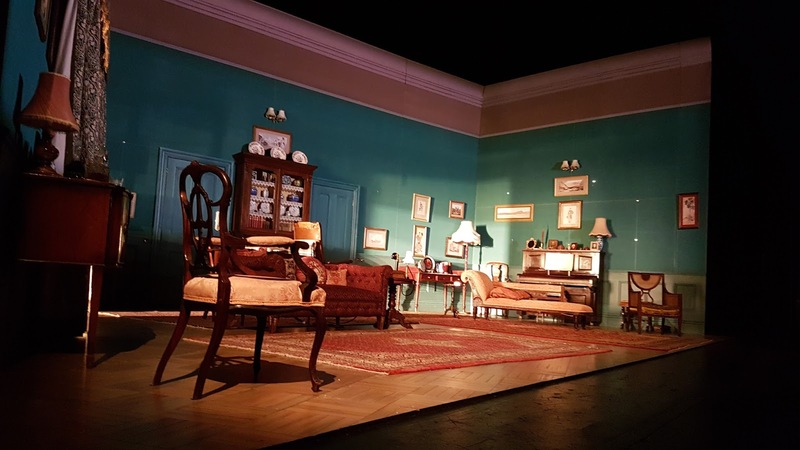 Whilst we are watching a period room, the themes and the issues of the play could be encountered in a modern setting – it could just as easily be set in someone’s kitchen, but there’s something heartening about keeping the play in Rattigan’s era. There are captivating performances by the whole cast however there are three performances worthy of specific mention. Aden Gillett (The House of Elliott) begins the play as the archetypal Edwardian authoritative father that a son should be respectful of. His booming voice juxtaposed with Rattigan’s wit makes him a figure to be wary of, however, it quickly becomes evident that he worships his son and will do anything for him. Both his deteriorating health and wealth make him an endearing character as his softer side is allowed to show through in his sacrifice for his son. Dorothea Myer-Bennett also delivers a strong performance as Ronnie’s equally strong-willed suffragette sister. She will not listen to those around her who keep telling her it is a waste of time to fight for women being given the right to vote, or to try and clear the name of her brother. She is stuck in the middle of a changing world, the anchor of the family with the voice of reason. Should she sacrifice her values at a time when women married for practical rather than emotional reasons? With the current political climate for female equality with the #MeToo and Times Up movements, Catherine resonates as a strong and powerful female voice for our time. 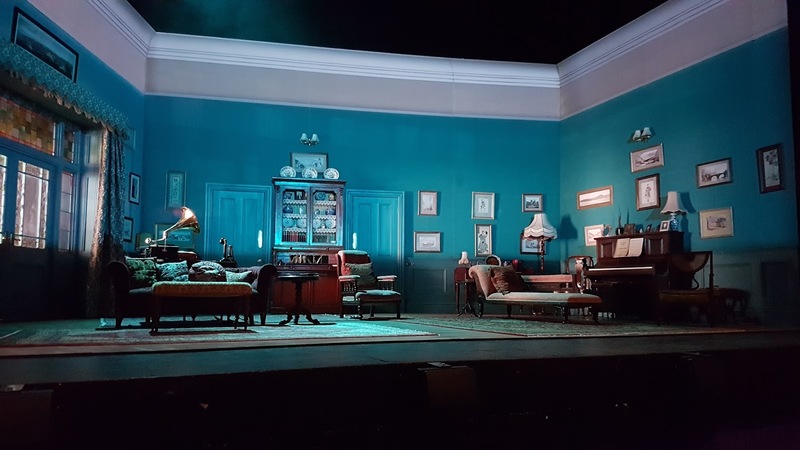 Sir Robert Morton, the arrogant barrister engaged to represent Ronnie’s case is magnificently performed by Timothy Watson; his interrogation of Ronnie at the start of the play is edge of the seat drama as he reduces the poor boy to tears. Rattigan’s comic genius is shown as Sir Robert’s demeanour slowly wavers as he falls under the spell of the captivating and moralistic Catherine! 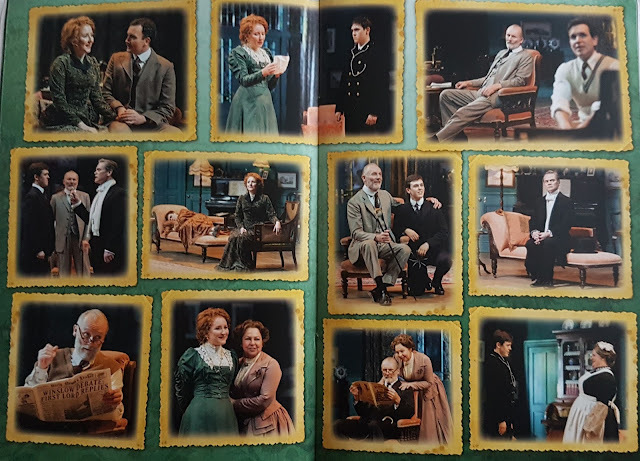 Michael Taylor's beautiful Edwardian set and costumes bring the period to life, but also the clever removal of furniture and less quality clothing show how much the family wealth is depleted as more and more money is pumped into the trial. All of this adds to the authenticity of the piece and whilst the show is a slow-burn, it does keep you entranced until the end, wondering how much more the family can take as they await the verdict. And so what happened to the little boy who started it all this rumpus? The real Winslow Boy, George Archer-Shay worked in America for a short time before returning home at the start of World War One. He died in the first Battle of Ypres in 1914 at the age of 19. He was a young man who will forever live on via Rattigan’s play because of the case of a father who showed that where there is injustice, you have to fight it head on; a message that doesn't go amiss today.